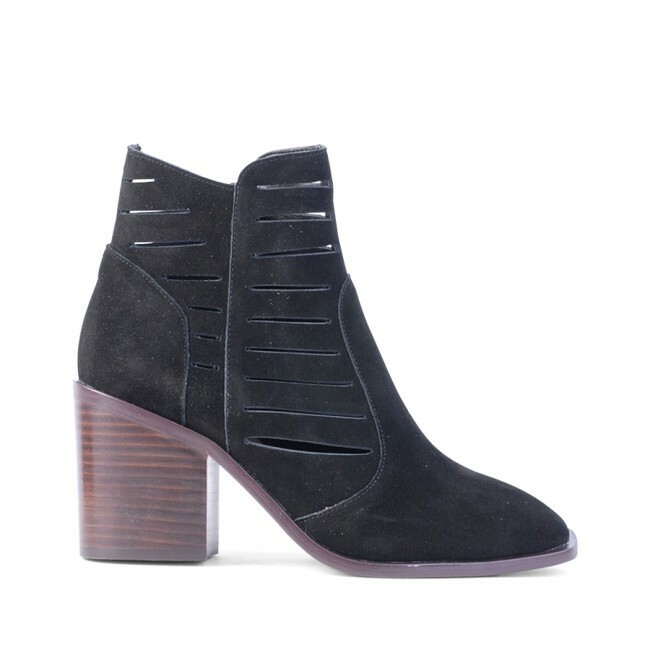 The Reaghan ankle boot. Side zip fastening, cut-outs in suede upper. Contrast stacked heel.